So you've waited this long to start thinking about what nails you want to rock New Year's Eve, and you're kind of panicking. Wrapping up your outfit, styling your hair, and getting to the party all come before your plans to even start a manicure for yourself. Well don't worry...your procrastination may be the best thing for you this time. I've got a super easy look for you to recreate tomorrow that looks like the ball dropped and shattered all over your nails. 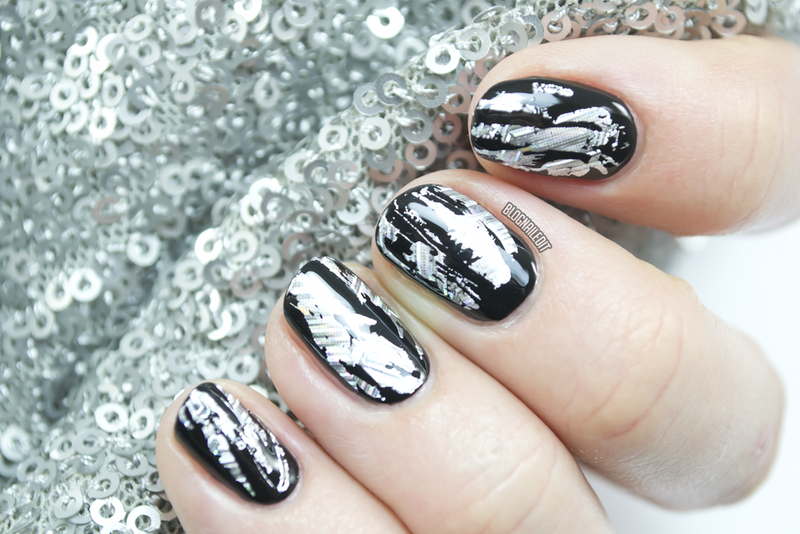 Check out this silver foil nail art tutorial! To get the full details of this look, head over to Divine Caroline here and try it out yourself. Don't have nail foil or foil glue? The Foil Em' kit I used in the tutorial was picked up at Sally's, so stop by there today so you're fully prepped! Seems easy, but looks that this nail design takes a lot of time! Great concept!